I grew up on extraordinarily good tasting food thanks to parents who just didn’t patronize finger licking-ly delicious food, but also passionately reproduced the magic at home! Whenever my parents sampled a new dish at a restaurant or at someone’s place, they invariably recreated the experience, and with a touch of their own class! Breathing the air at home, laden with intoxicating concoction of spices, I guess it was only a matter of time that I acquired the same passion. 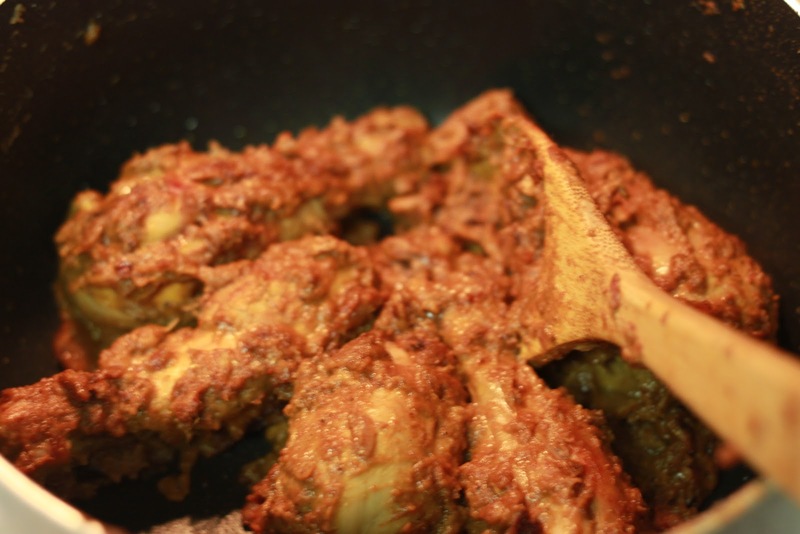 One of my all time favorites is – dad’s very own, Chicken Korma. This hot and spicy delicacy is an inseparable element of my memories of Sunday afternoons. 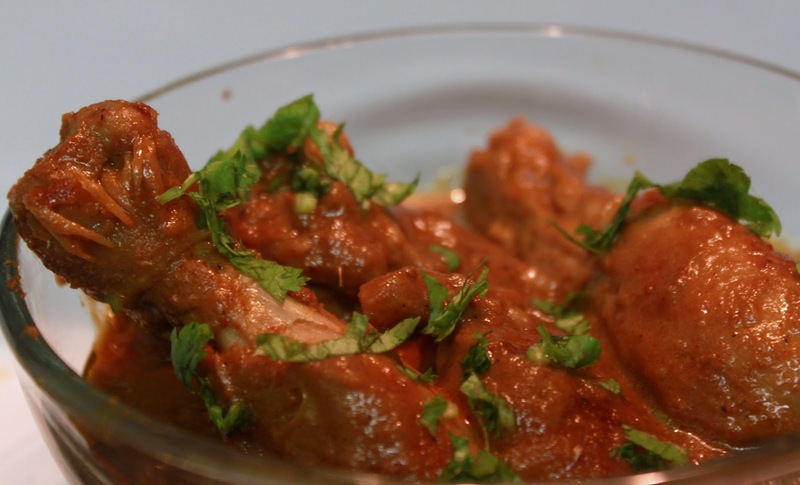 Savor the delicious and spicy korma with Sheermal (meethi roti) – I will be posting the recipe very soon! !